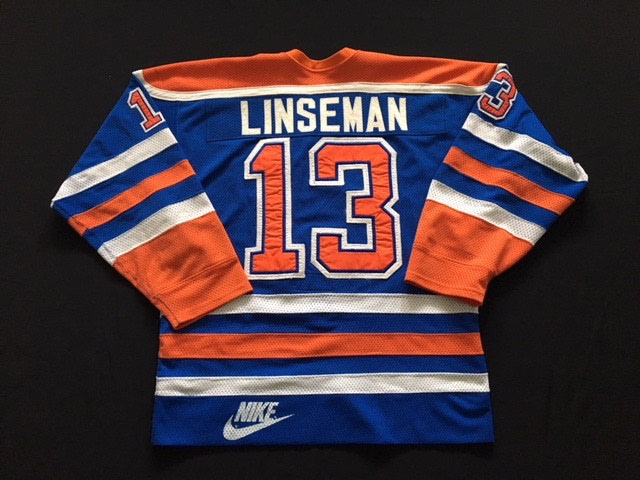 All original 1983-84 # 13 Ken Linseman Game Worn Jersey from the Edmonton Oilers first Stanley Cup Championship. Game Worn Stanley Cup Finals jersey worn during the Oilers first Stanley Cup victory. 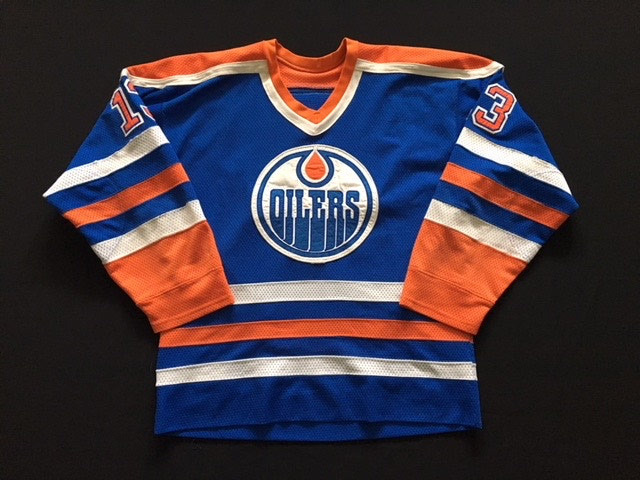 This jersey was worn by gritty forward, Ken Linseman, during the entire 1984 Stanley Cup playoff run and first championship in NHL Edmonton Oilers history. 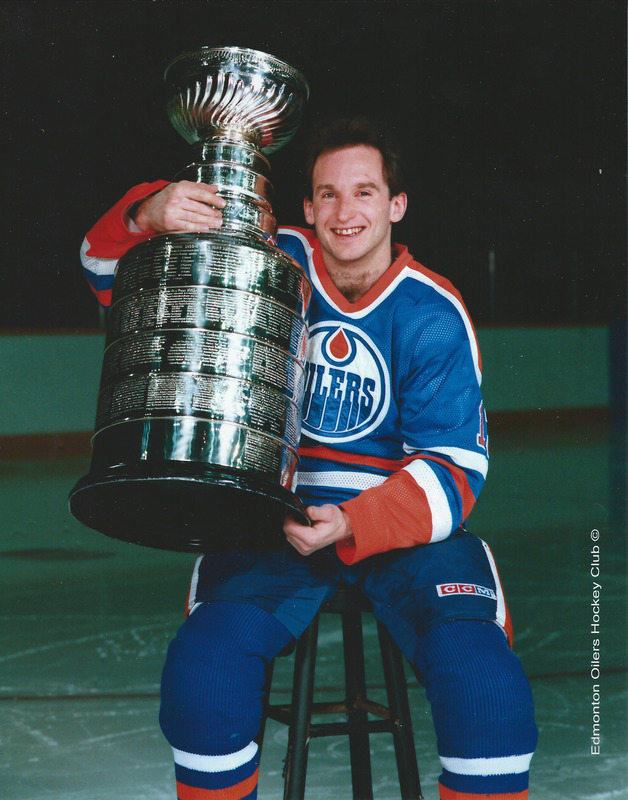 The Nike size XL jersey is the away blue which became an iconic jersey for the Edmonton Oilers franchise. It is an honour to present this fantastic game worn jersey as a part of the Edmonton Oilers historical Exhibit.